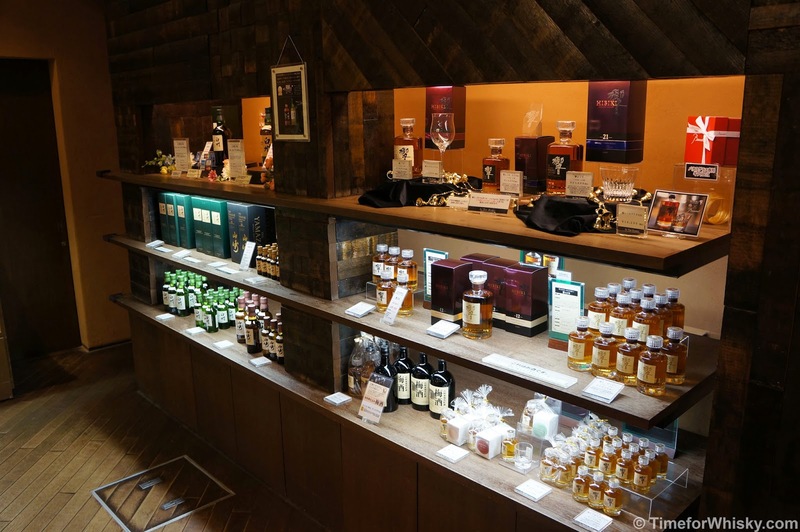 There's a wonderful, magical place in the maze that is Tokyo station, called Liquors Hasegawa, the whisky shop of your dreams. Actually there are two, and a "Sake Hasegawa", but one of them is more wonderful and magical than the others, for you see, not only do they have an absolutely incredible amount of whisky crammed into a tiny, tiny store, they also offer very cheap 10mL tastings (and not just of the regular stuff - plenty of rarer single cask whiskies too, like BlackAdder Raw Cask bottlings - notes up soon). The excellent Nonjatta explains how the rules work, but basically, anything with a small red and white sticker (see below) has a price. 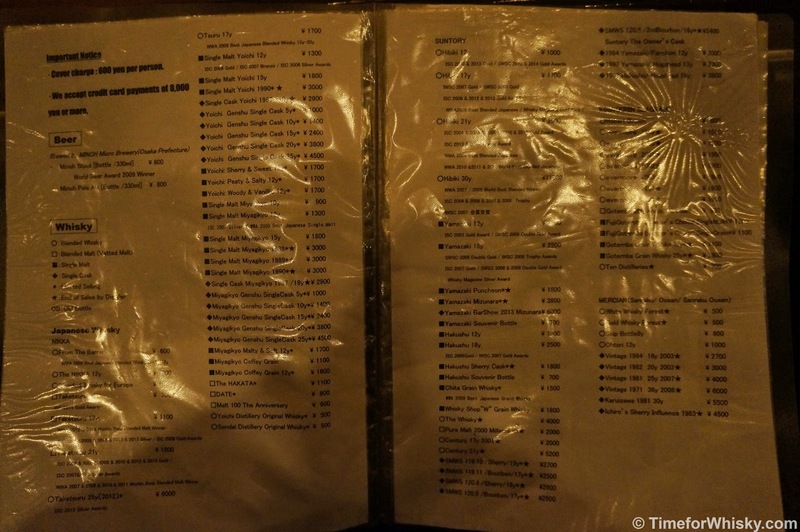 You pay that price (rarely more than a few Aussie dollars or $20HKD) and you taste 10mL of that whisky (or other spirit). Simple. Nose: Sweet, and very smooth and composed. Strawberries mixed with salty sea air. Palate: Smoke, hints of spice and lots of orange peel. Finish: Long, smokey with plenty of sea salt. Some citrus (orange) notes at the end. 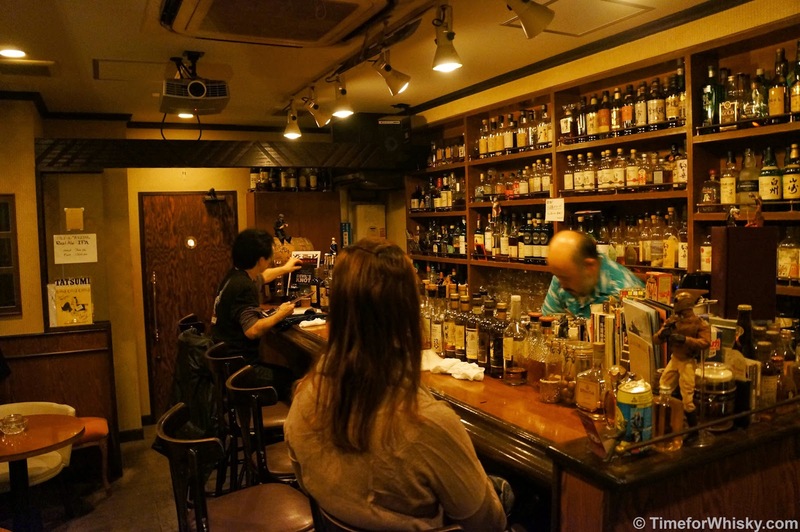 As mentioned the other day, our visit to the Suntory Hakushu distillery last month uncovered an amazing find in the form of the distillery bar, with some seriously cheap whiskies for tasting (see the article or photo below for examples). Nose: Molasses, cask strength rum! Palate: Furniture polish, leather, slightly sour, but not to the point of spoiling the experience. Finish: Incredibly short, sour and oaky. Nose: Sweet. with honey-like, ex-bourbon sweetness. Palate: Mouth-filling and rich. Slightly hot. Lamingtons and cake icing. Finish: Short, sweet and hot. Nose: Very sweet - at a guess I'd say ex-PX. Plums and berries. Palate: Cherry-like. Much dryer than the nose suggests. Hints of port, big bold shiraz, and dark rich red berries. Finish: Short and drying, with lots of oak influence. Rating (on my very non-scientific scale): 89/100. Not bad but not something I'd choose to drink every day. Nose: Coconut and paprika. Lots of pepper and spice. Palate: Banana toast (but not like a young whisky or new make) sprinkled with coconut. Finish: Medium length, drying and "dusty. Hints of spice at the very end. 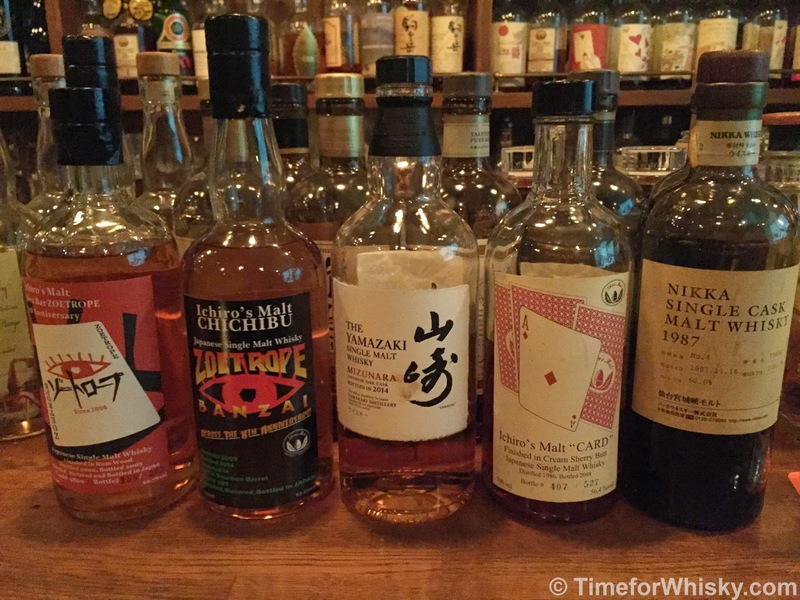 As mentioned the other day, our visit to the Suntory Hakushu distillery last month uncovered an amazing find in the form of the distillery bar, with some seriously cheap whiskies for tasting (see the article or photo below for examples), many of which aren't available to purchase, or likely taste anywhere else in the world (except perhaps the Yamazaki distillery). Nose: Earthy, hints of pine needles. The slightest hint of smoke. Palate: Spicy earthiness, moss, some sesame. Finish: Long, smooth and enjoyable. 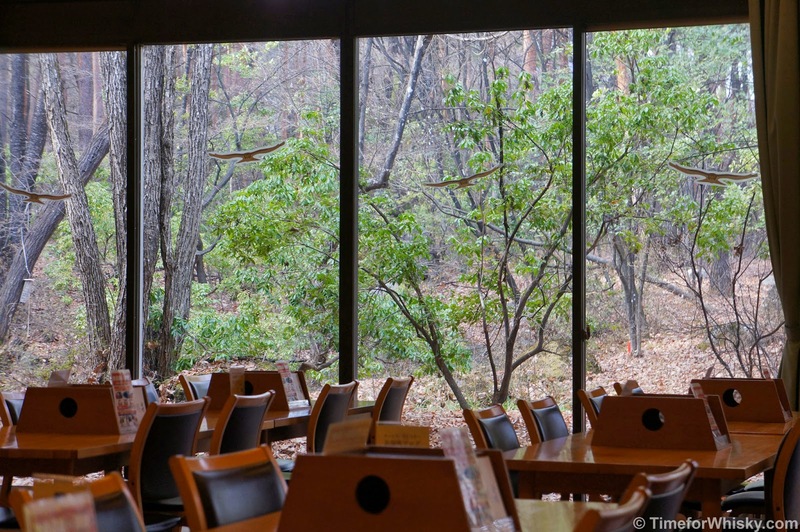 Moss, oak, and sesame crackers. Colour: Deep, dark copper...ha no, I kid. Clear as water, obviously. Finish: Hot, as expected, and medium length. The alcohol esters are there, but they don't ruin the finish. Rating (on my very non-scientific scale): 90/100. As far as new makes go, not a bad one. And quite different to the usual banana / strong bubble gum notes you get on a lot of others. Nose: Campfire smokiness, obvious peat, with an earthy undertone. Palate: Fresh woodfired bread, shortbread biscuits, and a lot of peat smoke. Finish: Medium and peaty to the end. Nose: Windex, spirytus. Not a lot of complexity. Palate: Surprisingly light - very few discernible qualities. Some bananas, some pineapple. Quite hot. Finish: Short and plain, with no real stand-out characteristics. Rating (on my very non-scientific scale): 80/100. 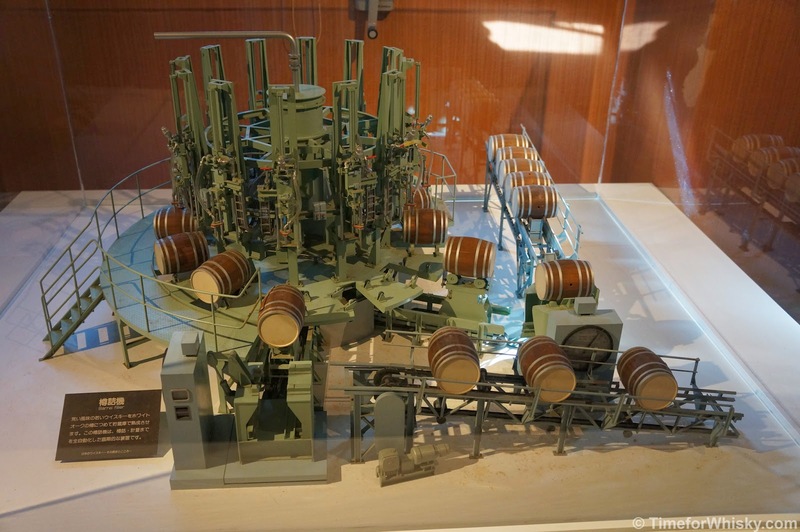 Nowhere near as complex or enjoyable as the Hibiki NMS. 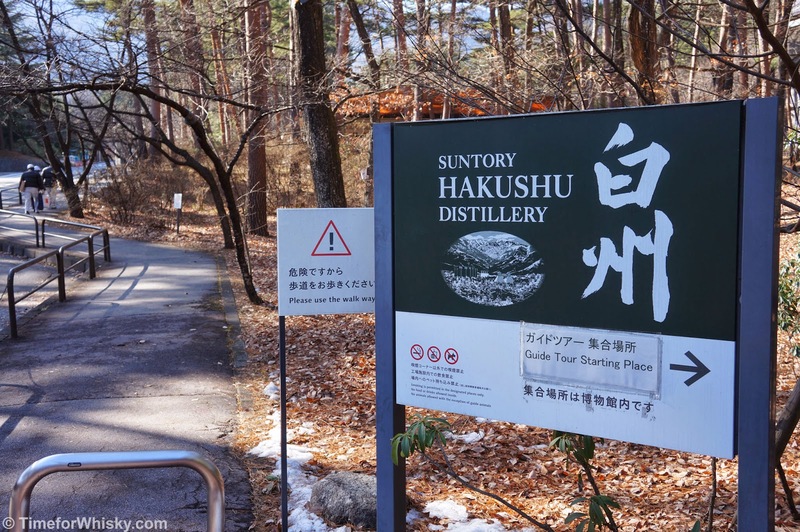 As promised 2 or so weeks ago we're kicking off the first of many JapanTour14 posts, with a tour of Suntory's Hakushu Distillery, a few hours West of Tokyo. 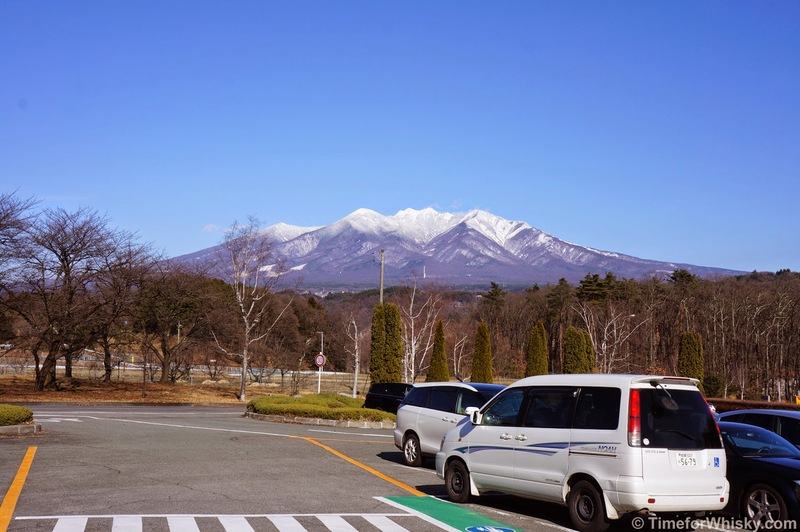 Both Suntory tours (the Yamazaki tour post will be up soon) took a bit of planning for this trip. 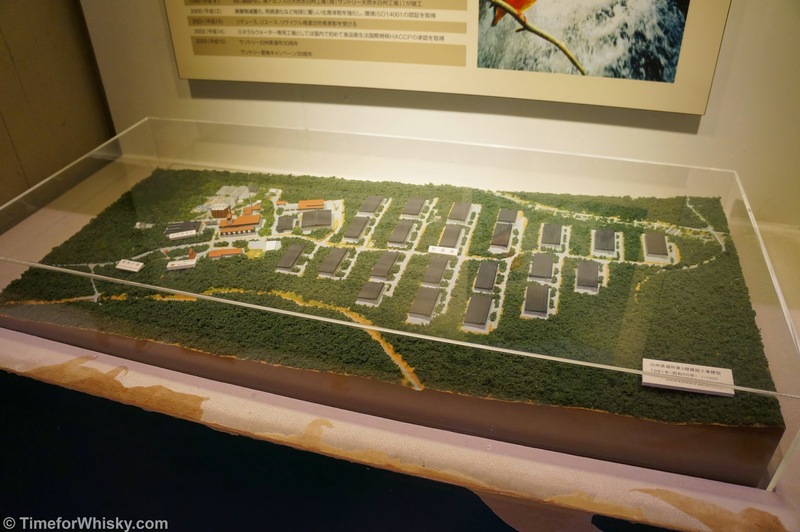 When booking hotels and deciding where to be and when, we thought we should probably consult the distillery opening days, given we were travelling around The Emperor's Birthday and New Year. 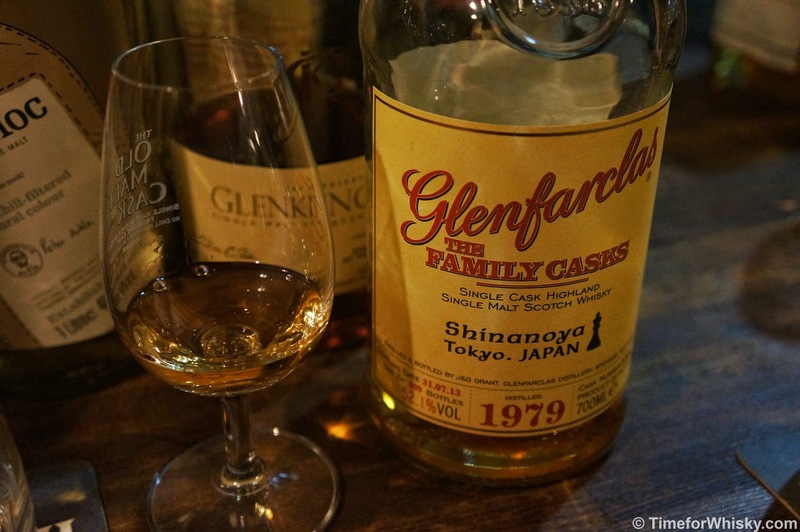 Good thing we did, both distilleries were planning large closures over the new year period, but luckily we managed to squeeze in during their last days thanks to some help from Suntory Australia. 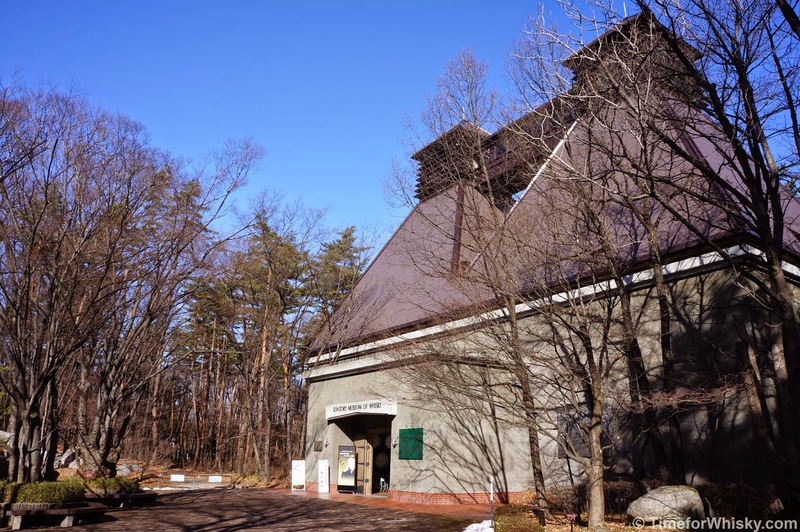 We joined the tour as the only non-Japanese speakers, and were given a headset with a pre-recorded tour guide in English (we knew to expect this - neither of Suntory's distilleries run tours in English). 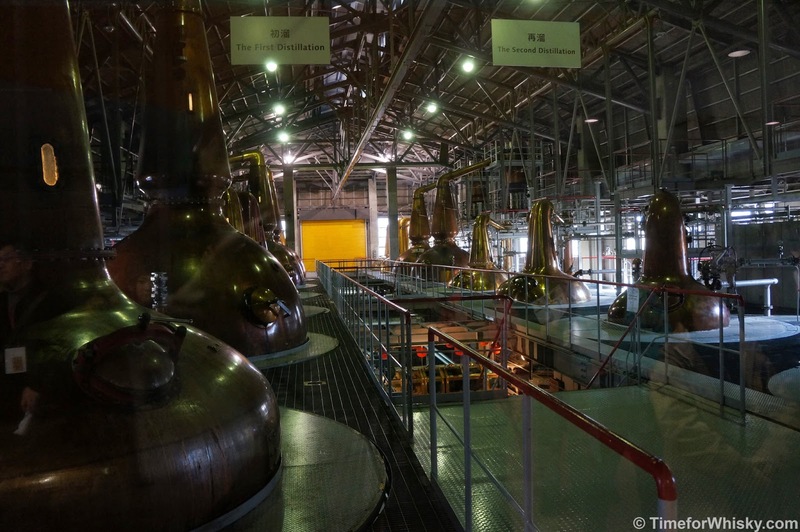 The tour, as I'd read beforehand, is pretty much a standard whisky tour. 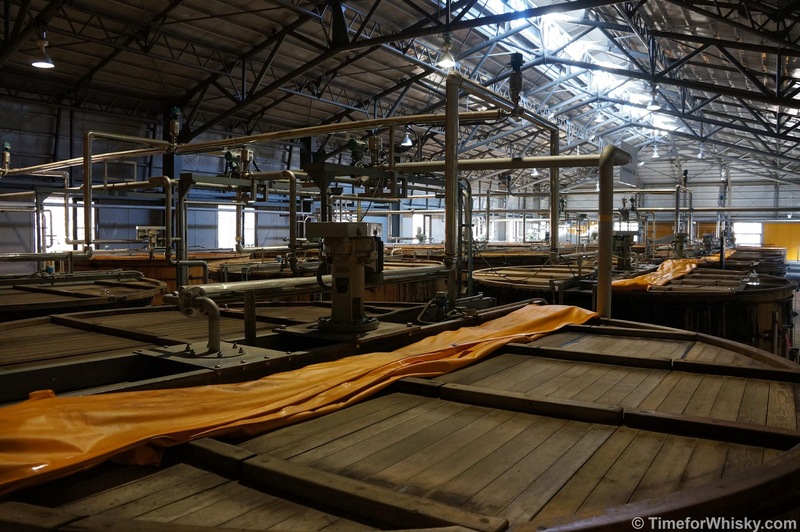 It takes about 40 minutes all up (including a brief bus trip), and you get to see the mashing, fermentation, distillation room (although only through the windows as it was closed for maintenance) and one of the larger barrel houses. 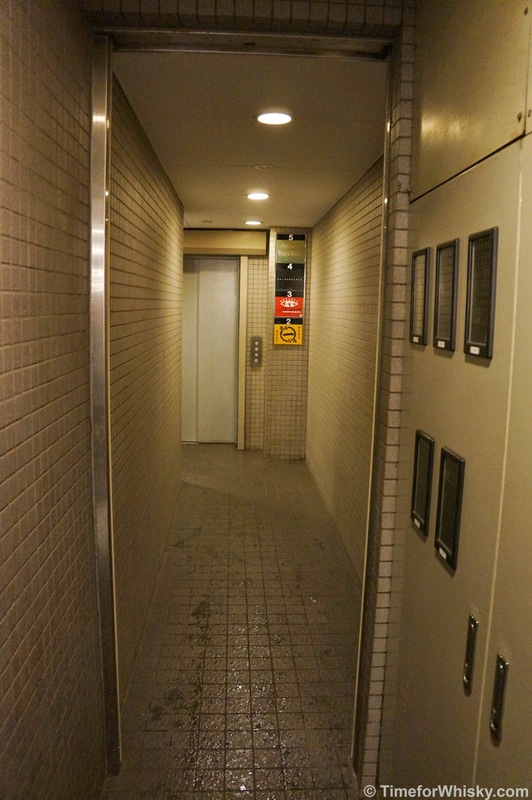 You can also spend some time wandering around the (small but interesting) museum before or after your tour. The tour does get you up close and personal at times (walking past the Douglas fir washbacks, walking between the large pot stills when the room is open, getting up close to the barrels etc...) but unlike certain Scottish distilleries, there's no cask tasting, no in depth discussion of the wood management program, or other sorts of things you might expect if they ran an "enthusiasts" tour (hint hint Suntory, this would be awesome). 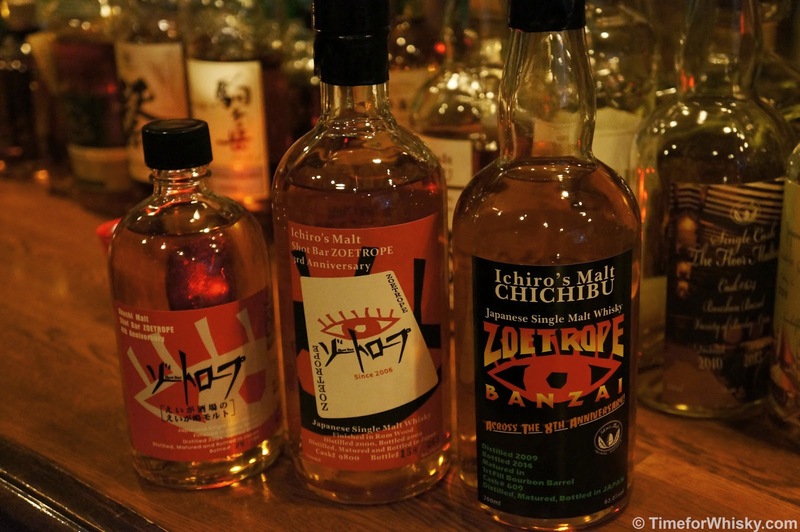 I guess given the popularity of Japanese whisky at the moment, that's not overly surprising. The tours are still very popular, running every 30 minutes (and with at least 25 people on ours). The highlight of the tour was the non-temperature controlled barrel house. 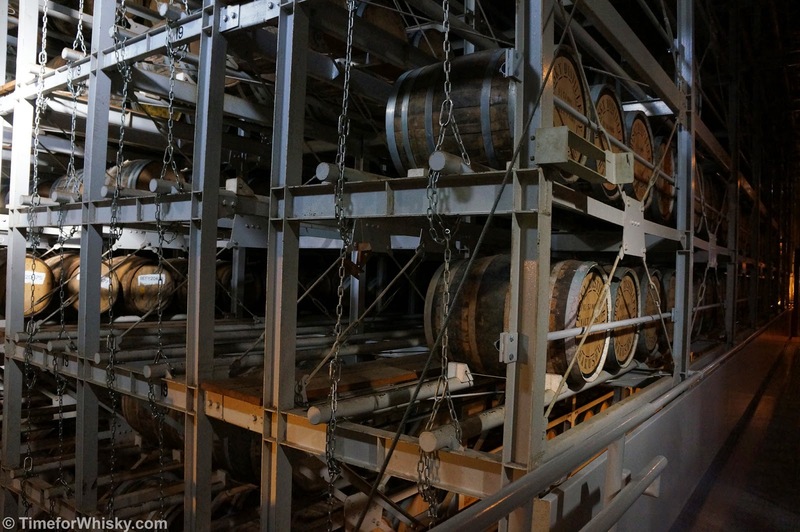 Unlike any ageing warehouse I'd ever seen in person, the automated racking system stacks barrels at least 12 high, and as far as the eye can see in pretty much all directions. A seriously mammoth facility. 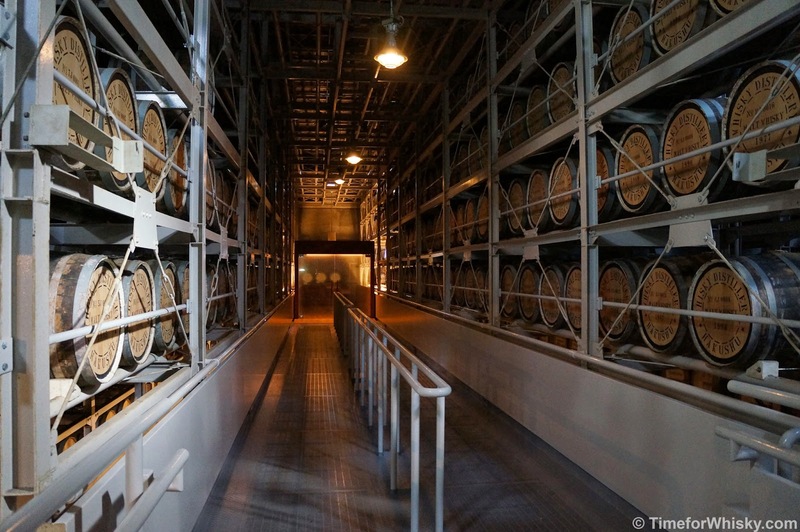 Impressive, but somewhat lacking that sense of tradition or hand-craftedness you get wandering around a traditional ageing warehouse (wait for the Yamazaki tour post). 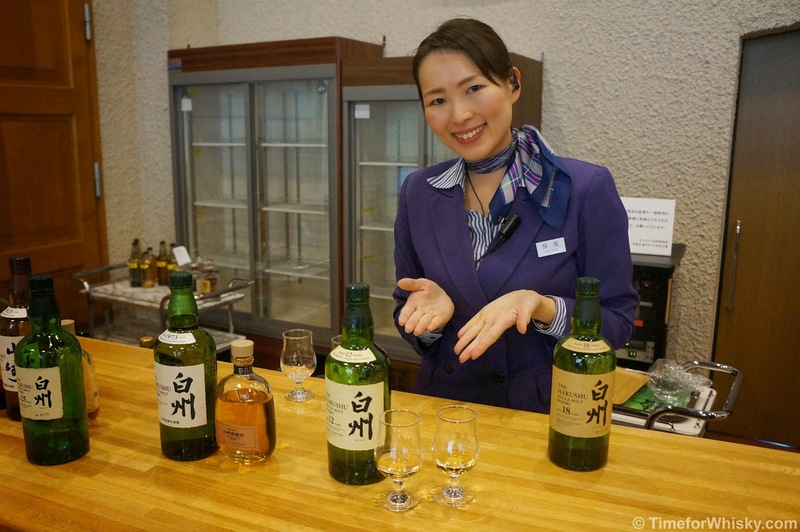 The standard tour (which by the way is completely free) includes a Hakushu highball (though we were kindly ushered aside for a tasting of the 12 and 18, and given a few departing gifts from the giftshop which was a lovely gesture!) but those willing to stay after the highball are in for a real treat. Apart from having a great setting (check out that outlook above), the most impressive part of this room was the whisky menu, and its frankly ridiculous prices. 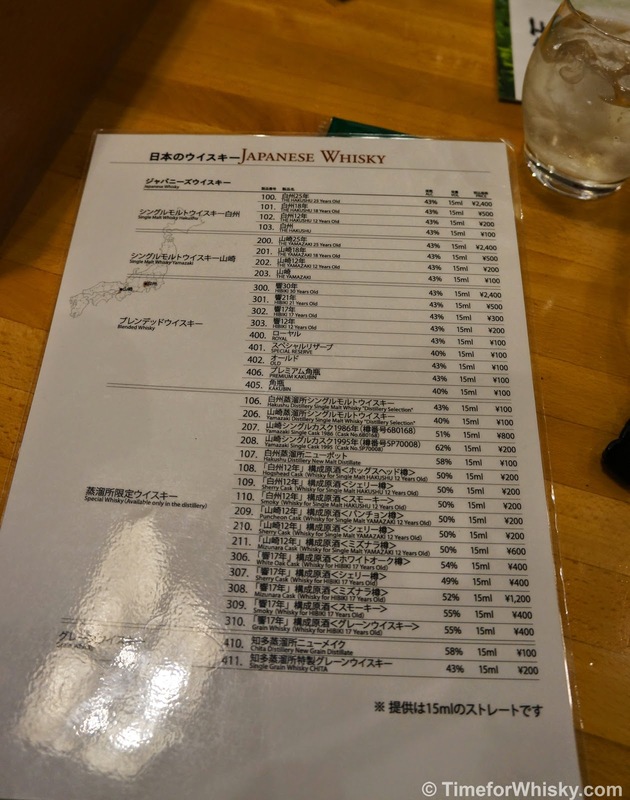 Hakushu or Yamazaki 18? That'll be ¥500 (just over $5AUD / $33HKD). Hibiki 21? That'll be the same. 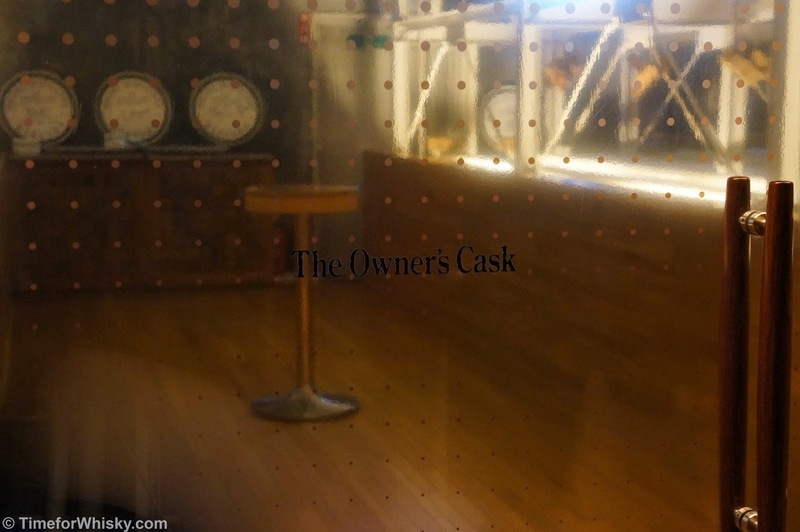 1995 single cask Yamazaki? ¥200 (just over $2AUD / $13HKD). 1986 single cask Yamazaki? Whoa big spender, that'll be ¥800 (just over $8AUD / $52HKD). 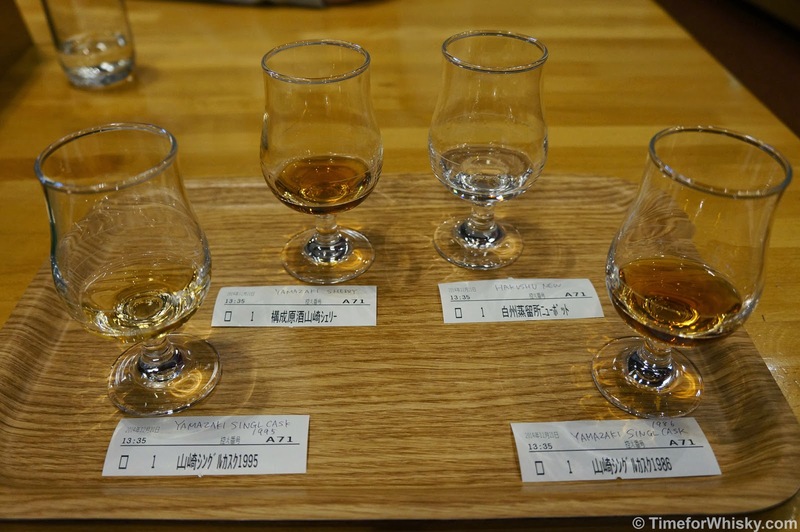 Granted the serves were all 15mL half-drams, but for us that was perfect, as it meant we could try more whiskies. 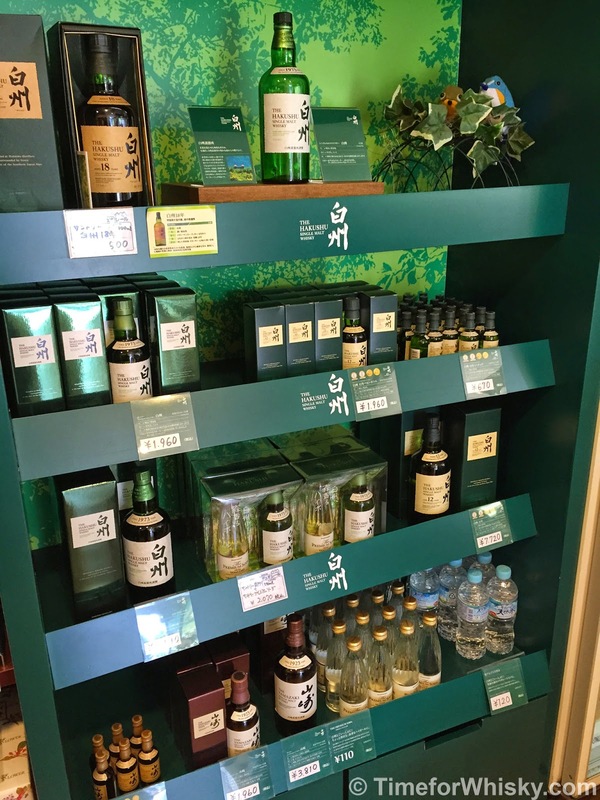 For the whisky nerds (guilty) they also had the various component whiskies that make up whiskies like Yamazaki 12 and Hibiki 17 - including Mizunara cask, sherry cask and puncheon varieties. All between ¥200 and ¥1,200. The new make Chita (grain) was also interesting, and as steal at ¥100 (yes, $1AUD / $6.60HKD). 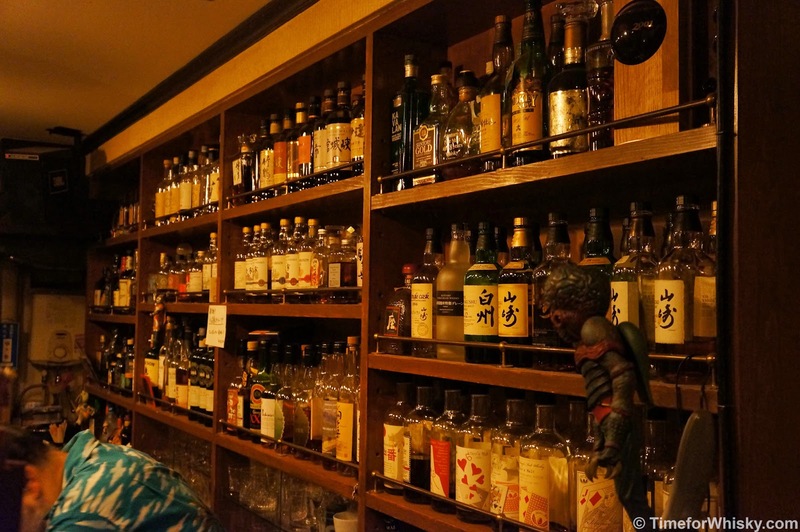 The menu wasn't limited to Japanese whiskies either, with a number of the whiskies Suntory either owns, or has exclusive distribution rights to in Japan, at similarly fantastic prices. 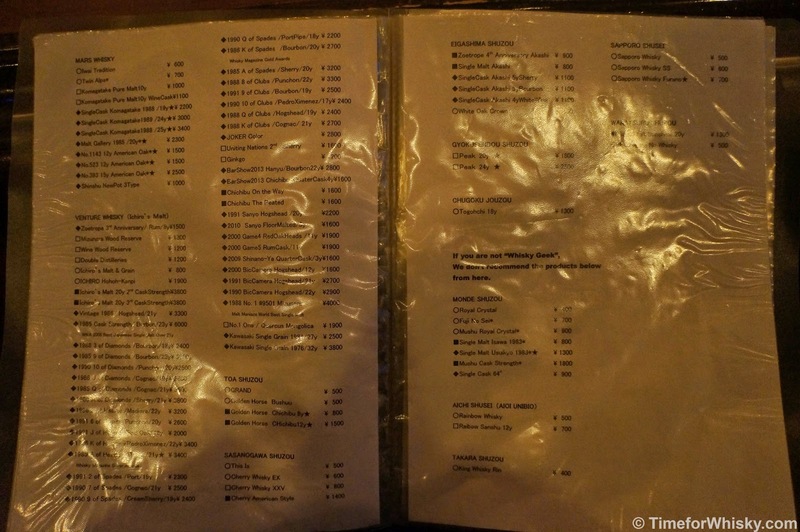 Everything from Macallan 30 (both Sherry and Fine Oak), to Bowmore 25 to Glenfiddich 18 to Laphroaig 18, and even Jim Beam if you're feeling so inclined. Our final visit was to the gift shop, which is worth visiting, but which I feel we should warn you about. 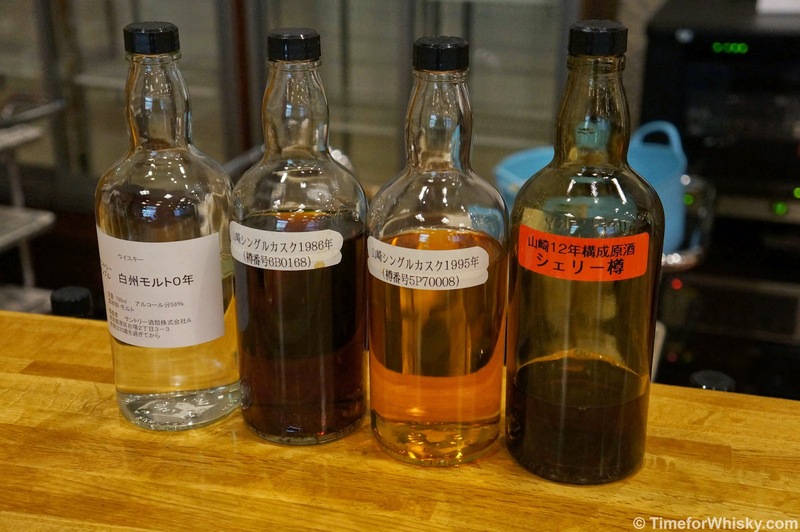 Anyone expecting to pick up a bunch of single cask, rare, limited release Suntory whiskies is likely to be disappointed. 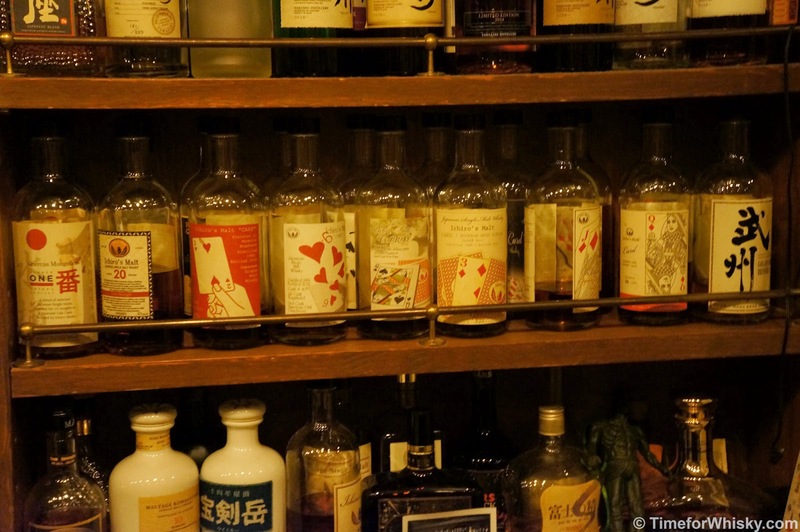 You know how Japanese whisky is popular in pretty much every market now? Well it's even more popular in Japan. Some stores struggle to get even the most basic bottlings, and so the idea of finding a cheap, distillery-special single cask bottling was never going to happen. The shop did actually have an odd-looking 300mL Hakushu bottling for ¥1400 (which was included in our gift, along with some very nice pens made from old casks), though details were scant and we've yet to crack it open. 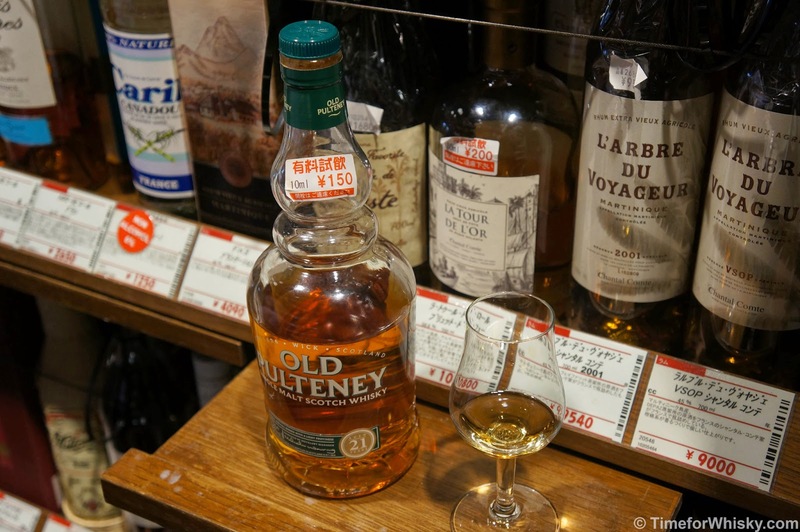 The Suntory shop in Osaka, on the other hand, does have the odd limited bottling (generally in 200-300mL sizes) which are relatively cheap and (from our tasting) very enjoyable. 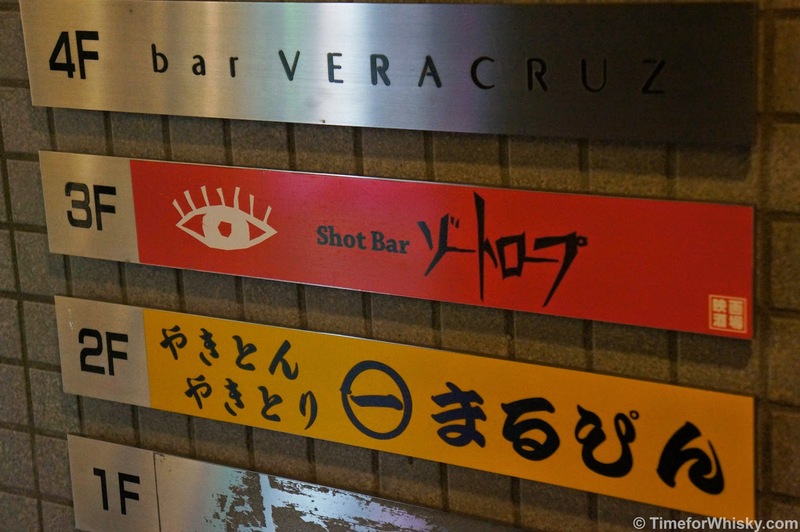 Worth seeking out if you're ever in Osaka. All up, we both had a thoroughly enjoyable time and would recommend the tour to anyone who enjoys their whisky...but make the most of it, don't drive, and give yourself an hour or so after the tour to sample the menu. We first brought word of Teeling Whiskey Company's Small Batch Irish Whiskey in December 2013, and over 12 months later we note that it's still punching well above its $49.90AUD price point Australia. Good news then, that in just a month or two we hear that Dan's will soon stock 5 more of the Teeling lineup, including: Single Grain, 21YO, 26YO, 30YO, and Poitin. Whilst we haven't yet tried any of those releases, we've heard very good things about the Single Grain and 21yo (the latter which seemed to be very popular during our recent trip to Japan). For more on Teeling Whiskey Company and its award winning Irish whiskeys, visit www.teelingwhiskey.com"
We hope to bring you tasting notes of the full range in due course. 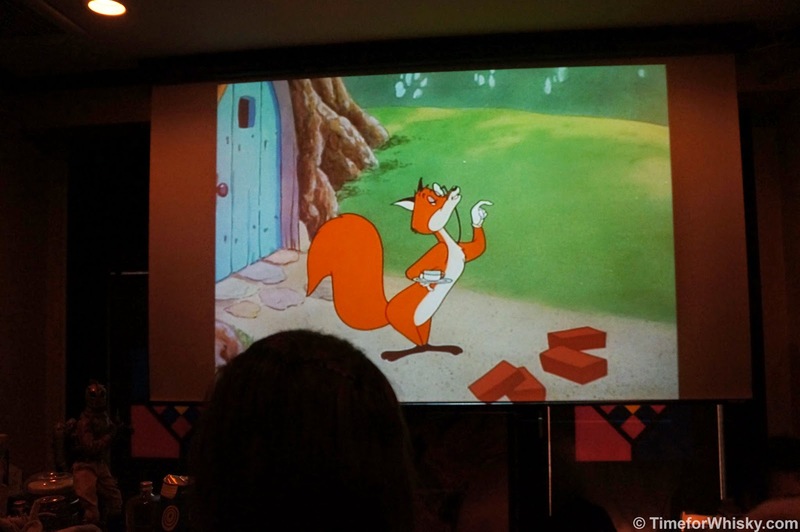 No word yet on a possible Hong Kong release, but we'll be sure to let HK readers know. Hot on the heels of the 2015 Johnnie Walker Blue Label launch, which Steph and I attended recently, comes a special release for 2015 - "Year of the Ram", just in time for Chinese New Year. "Inspired by the famous Chinese brush-painting “Three Rams”, created during the Emperor Qianlong era, employing techniques of traditional Chinese ink painting with a light-as-air white brushstroke, the bottle’s design seamlessly merges visual art with calligraphy. The royal blue-tinted bottle symbolizes the Chinese tradition of celadon porcelain and on each of the four sides conveys the written characters for Ram. When four bottles are placed side by side, they unfold into a representation of the magnificent Chinese scroll painting “Three Rams”, to depict a New Year of great fortune. This tasteful limited edition is of particular value to collectors, especially during the all-important gifting season this Chinese New Year. The Ram’s character being naturally fearless of heights, unswerving in its determination and ability to conquer new heights, echoes the characteristics of JOHNNIE WALKER BLUE LABEL – the pinnacle of Blended Scotch Whisky from the House of Johnnie Walker. 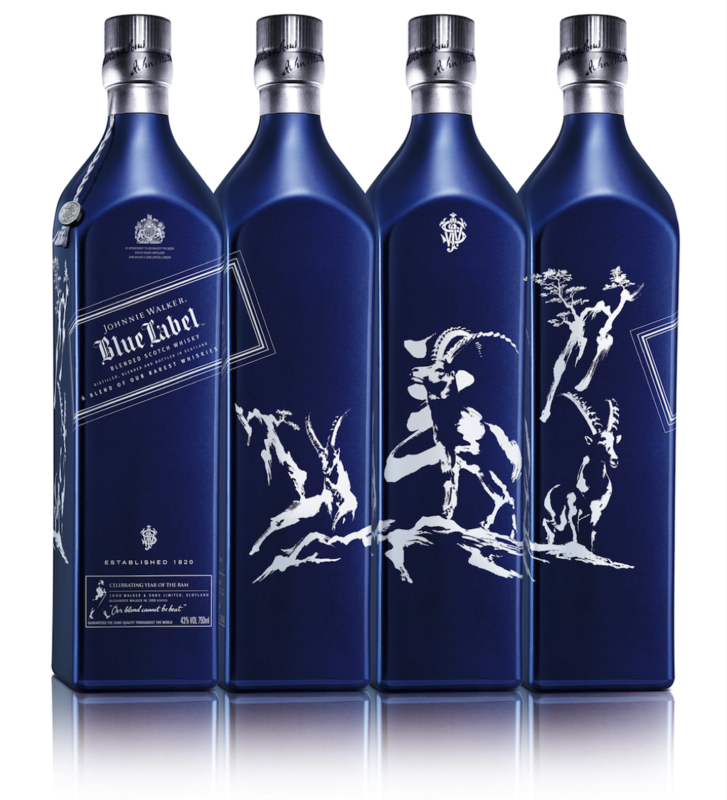 Created by the Master Blender with his decades of experience in selecting only the rarest casks from Johnnie Walker to create this powerful, complex, smooth character of Blue Label, only 1 from every 10,000 casks are selected to create Johnnie Walker Blue Label. 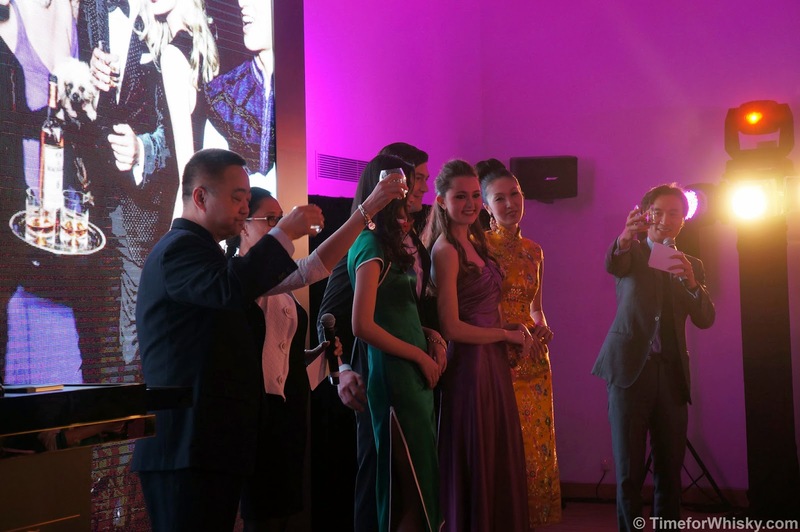 Drew Mills, Marketing Director of Diageo Brands noted, “JOHNNIE WALKER BLUE LABEL Year of the Ram Special Release truly marries the best of Chinese ceramic art with the very finest blend of Scottish whisky. This classic combination introduces unrivaled creative elements to the global whisky market, and I’m confident it will quickly become the premier choice for discerning collectors." JOHNNIE WALKER BLUE LABEL The Year of the Ram Special Release (750ml) is now officially for sale at all major wine and spirit retailers. To personalise the Limited Edition for gifting, customers purchasing the Limited Edition at SOGO on 17th, 24th and 31st January 2015 will enjoy free engraving service." Steph and I arrived a little late in the year to hear about most of the Hong Kong whisky festivals last year, but we'll make sure that doesn't happen this year. First up, "Malt Masters Hong Kong", held at the ever-changing and always enjoyable PMQ. 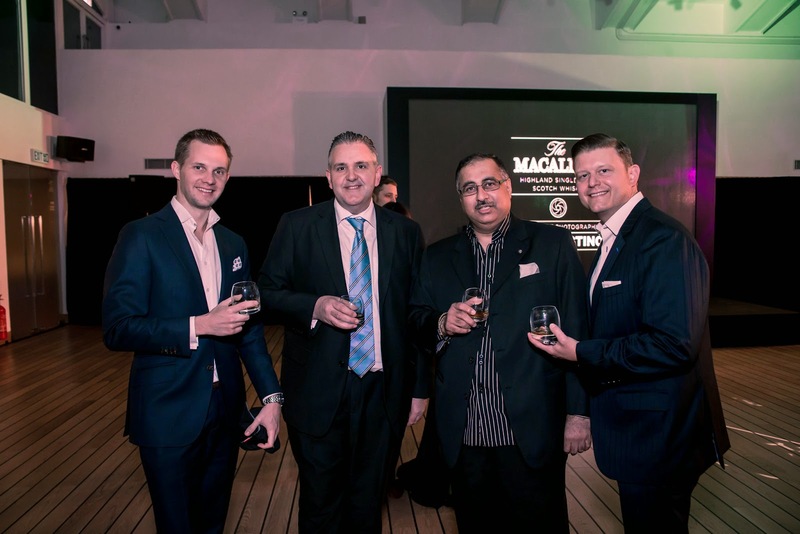 "Malt Masters Hong Kong returns with Hong Kong’s Premium Whisky Festival. The 2015 Festival will take place on Saturday 7th March at The Qube, PMQ, 25 Aberdeen Street, Central. 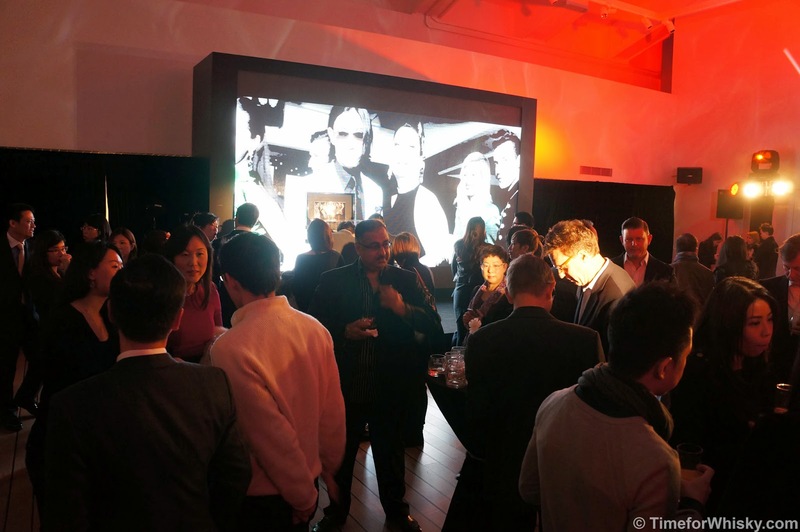 After the success of last year’s inaugural event, the 2015 Festival includes some new features. 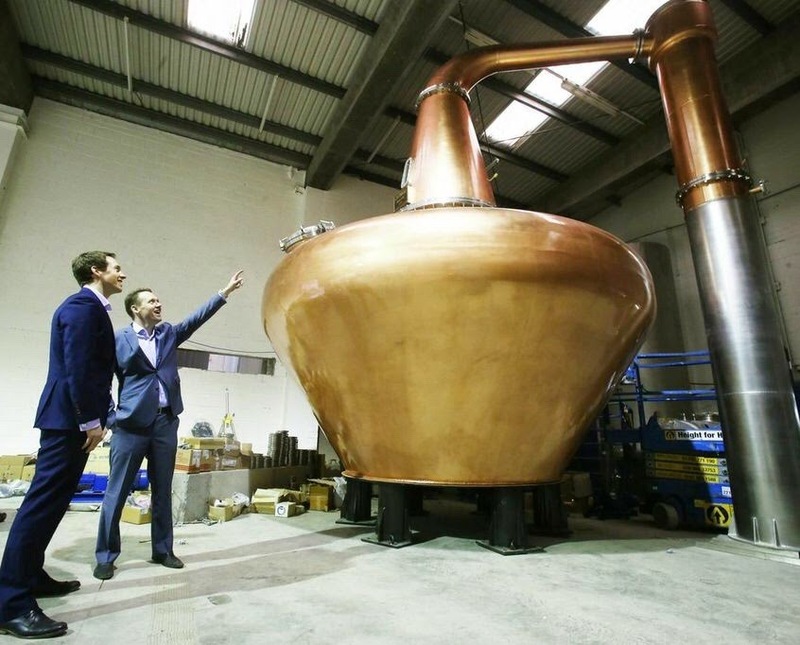 In addition to accessing some of Scotland’s leading single malt distilleries, guests will experience the addition of ‘Dream Drams’ as well as gaining access to a variety of companies offering expertise throughout the world of whisky such as whisky investment and accessories, and the opportunity to buy whisky directly from the companies. A casual and relaxed general tasting session around many of the best loved whiskies will be supported by brand ambassadors from the various distilleries as well as other leading figures from the whisky industry. 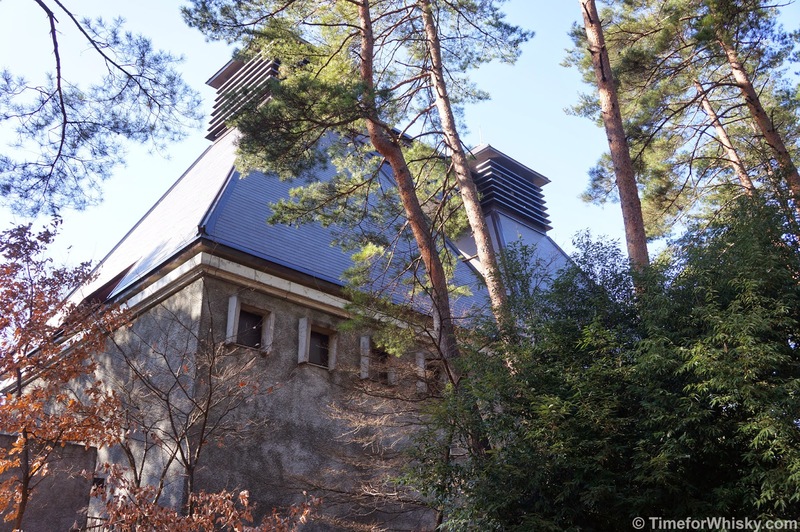 Meanwhile, individual masterclasses will allow participants to explore particular whisky distilleries and themes in more depth within a focused but intimate setting. Over 20 companies and distilleries will be in attendance with each stall offering a selection of different expressions for tasting. Masterclasses will run throughout the day, with the full masterclass schedule advertised online by early February. Tickets must be bought in advance and spaces are limited so early booking is advised. Dream Drams - This year we are introducing Dream Drams. All visitors to the 2015 event will receive a Dream Dram token to redeem against a range of truly outstanding whiskies from the exhibitors. 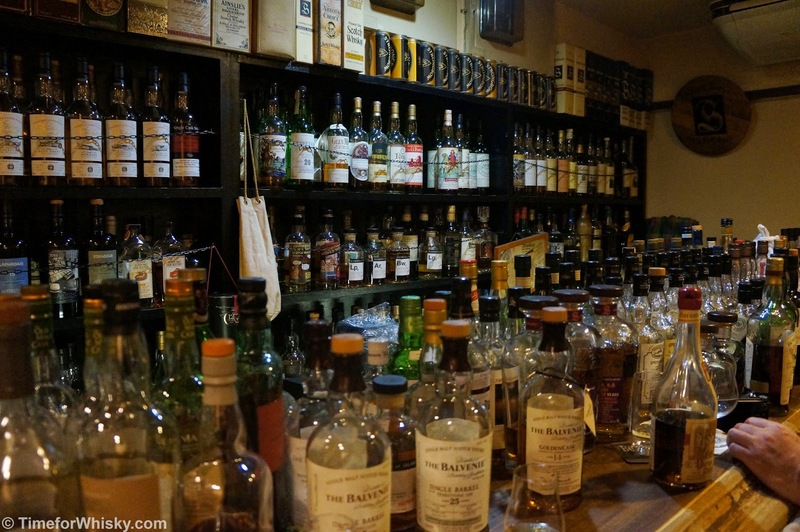 These whiskies are extremely hard to find and are consequently very expensive. Further Dream Dram tokens will be available to buy online before the event, offering visitors the opportunity of tasting a large variety of incredibly unique and expensive single malts. Tickets are priced at HKD 800 and are sold via www.maltmastershk.com. There will be a charity raffle offering a variety of excellent whiskies and whisky accessories in aid of 2 Hong Kong based charities." Steph and I will be there, and you can bet we'll be checking out the "dream drams"! 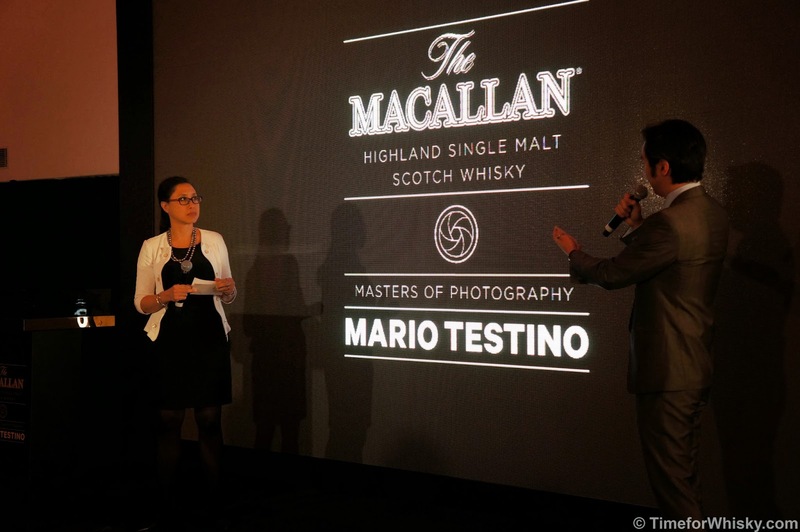 As we mentioned last month, The Macallan "Masters of Photography" Mario Testino Edition has been released in Hong Kong, retailing for $28,000HKD. 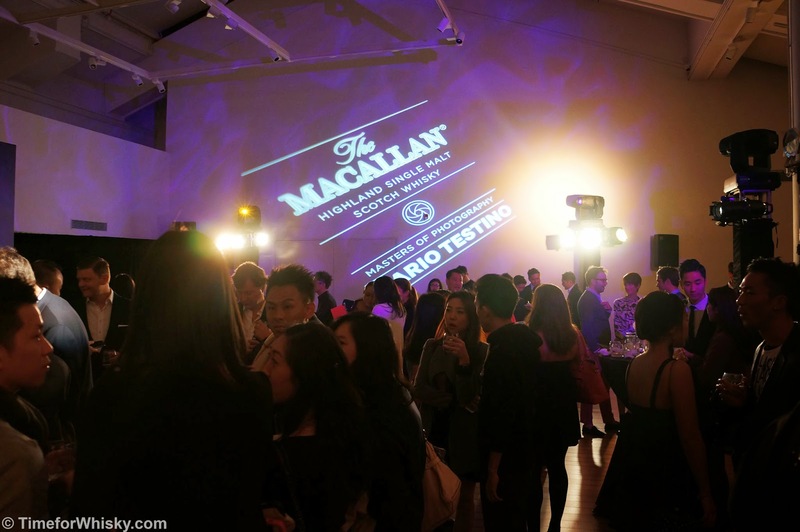 We were lucky enough to attend the Hong Kong launch event for this whisky in December, which was a lavish event celebrating the photography of Mario Testino, and of course, The Macallan. Held on a Friday night at the Hong Kong Maritime Museum, with views over Hong Kong Harbour, the event was attended by a number of people we've met so far in the Hong Kong whisky scene (including, sadly, the last HK whisky outing for local whisky expert Marlon of The Whisky Library, shortly before he left HK). 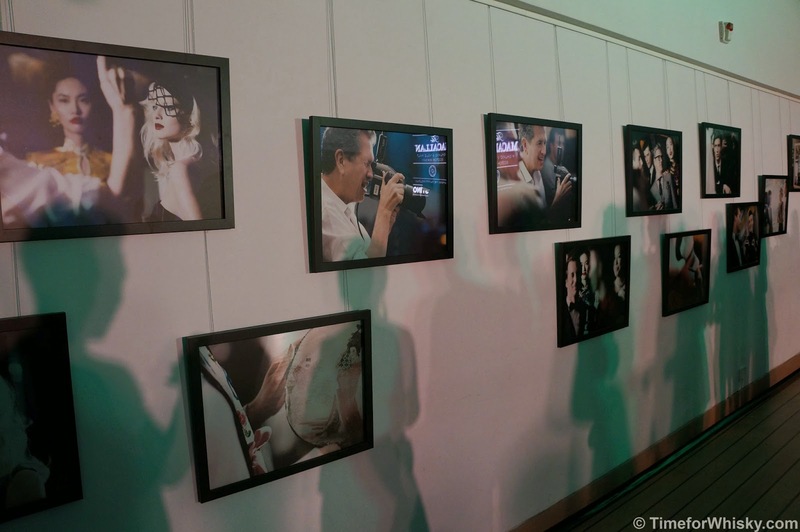 ..and their relation to the Mario Testino Edition, which is a vatting of 6 casks, each representing one of the above "pillars". 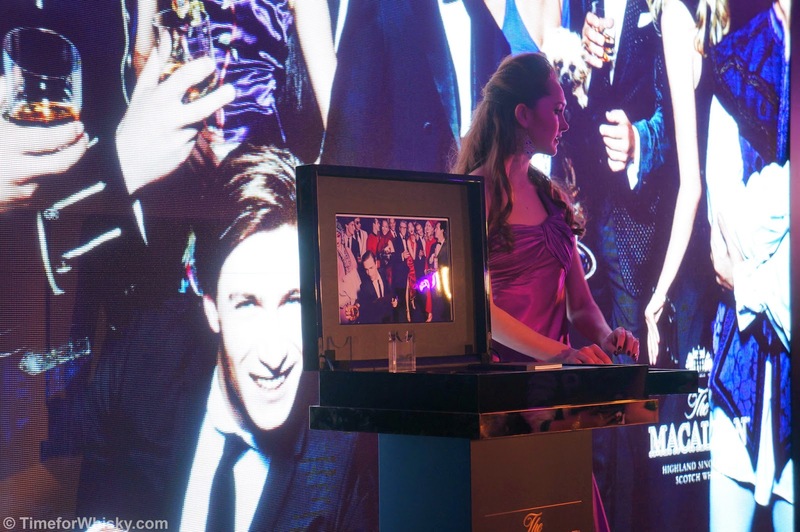 In a slightly more upbeat / funky move when compared with a typical whisky launch, a number of models then paraded out onto the stage to showcase the various components (the aforementioned "6 pillars") making up the Mario Testino edition. 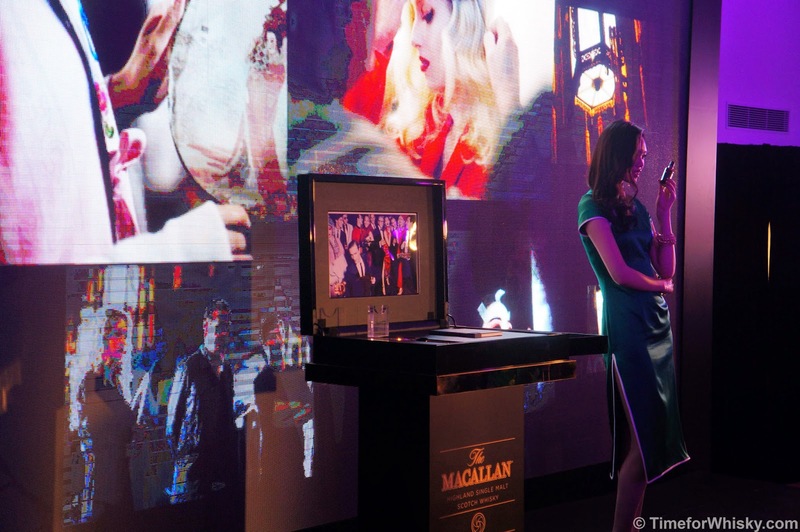 The models' dress echoed those who formed the shoot itself, shot at the China Club in Beijing, to represent the luxury and diversity of The Macallan and its enjoyment around the world. Nose: Definitely The Macallan DNA in there, but more sweet, more rounded than the 12 or 18. Some nutty, almond notes, and some definite citrus - grapefruit? Sweet, but complex. Palate: Citrus "zing" at first, but then some nuttiness, more grapefruit, and finally rich Christmas cake. Something for everyone in here. A complex, but very easy drinking dram. Finish: Long, incredibly smooth, with lingering raisins and Christmas cake notes. Rating (on my very non-scientific scale): 94/100. A luscious dram that you could easily sip all night, but would feel far more appropriate saving for special occasions.